Acacia Park Cemetery welcomes thousands of visitors every year. While most visit loved ones, many come to experience the historic and peaceful nature of the Park. At almost a century-old, this cemetery holds much of the history of the Village of Beverly Hills within its borders. 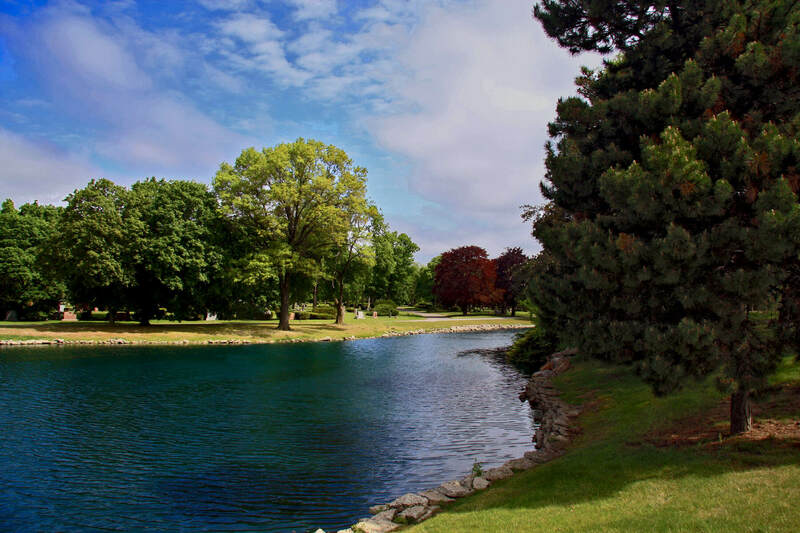 Established in 1924, Acacia Park features a beautiful landscape and serves as a sanctuary for a wide variety of wildlife. The cemetery has hosted numerous flower festivals and has won several accolades for its landscaping. The office features ornate markings and an exclusive design, evidencing its history as a Masonic cemetery. The Eastern Star Masons maintained private ownership until 1992 and since its purchase from the Masons, Acacia Park has welcomed everyone from all walks of life. The Cemetery is located in Beverly Hills, between 13 Mile & Beverly Roads, just east of Southfield Road. A rich history and strong reputation ensures Acacia Park Cemetery will be here for years to come. We welcome you to Acacia Park Cemetery! Click below for more information or to schedule a complimentary personal tour. We will provide a Family Planning Organizer as a thank you gift for your visit.